During the Ball there will be an auction of gifts donated by President and First Lady of the Republic of Poland. 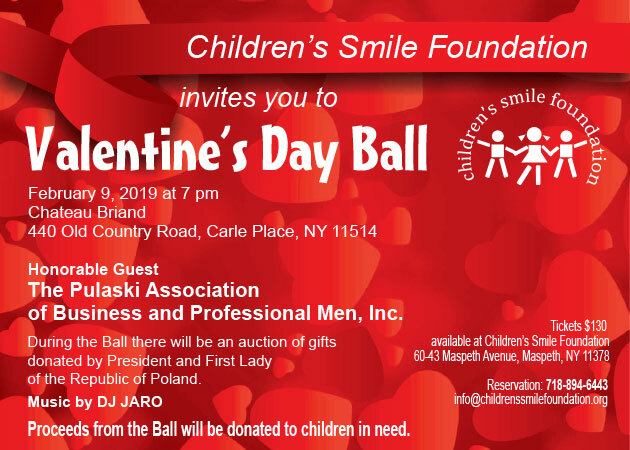 Proceeds from the Ball will be donated to children in need. The goal of Children’s Smile Foundation is to provide help to disadvantaged children. We want to show them that there are people who care about them, make them feel loved and help them grow into well adjusted young adults. Our help is only possible with the support and contributions from our individual donors and sponsors. Children's Smile Foundation is a not-for-profit 501 (c) (3) organization. Each donation can be tax-deductible.